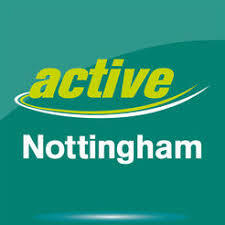 Clifton Leisure Centre, part of Active Nottingham are undergoing a major refurbishment of the changing and health suite facilities. The Health Suite will include a new Himalayan Salt Sauna with fully glazed front and two Himalayan Salt Walls. 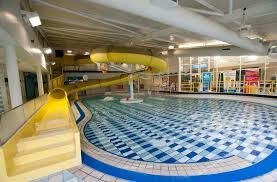 This will bring added health benefits to the many users of the Health Suite. 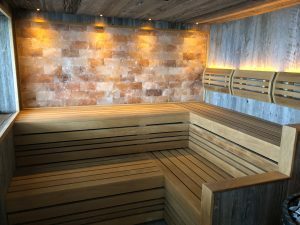 Working in Conjunction with Nottingham City Homes, Nottingham City Council and the Leisure Centre itself, mr sauna Ltd have been involved for several months in the planning and final selection of the very best option for the centre members and visitors. “The public are much more familiar now with the benefits of sauna and steam rooms, and demand more from the time invested by them in the use of such services. The Salt Sauna will bring real medical benefits from those suffering from Bronchiole complaints, and skin conditions such as Psoriases and Eczema will also benefit from time spent in the warmth of the salt sauna”. The Salt Sauna will be constructed from medium Alder and will have two walls constructed of actual Himalayan Salt blocks which will impart microscopic amounts of salt into the atmosphere to aid many medical complaints. The sauna will also be just as useful for general relaxation and the warmth of sauna will ease the tired muscles of those fresh from the gym, or just wanting to relax for a short while.